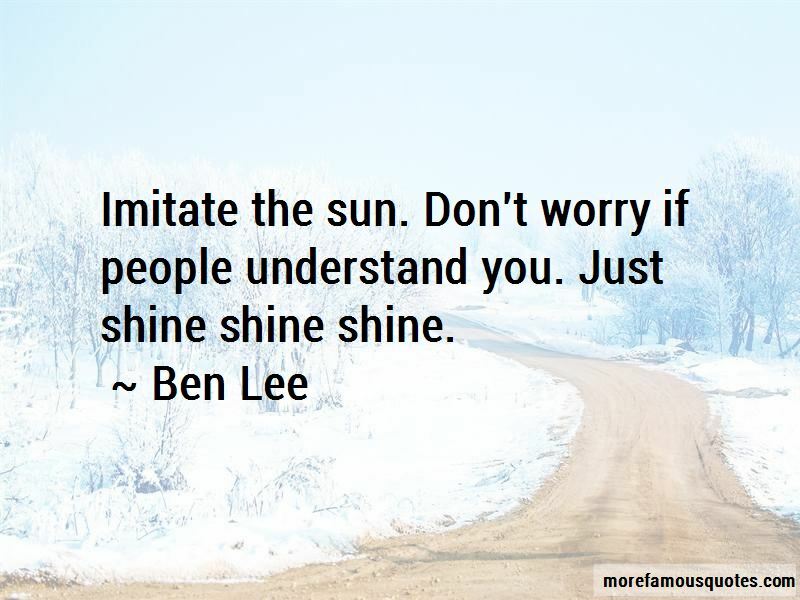 Enjoy the top 10 famous quotes, sayings and quotations by Ben Lee. Interviewers have to be work really hard to be good. TheyÂ¹re more inclined to be bad. 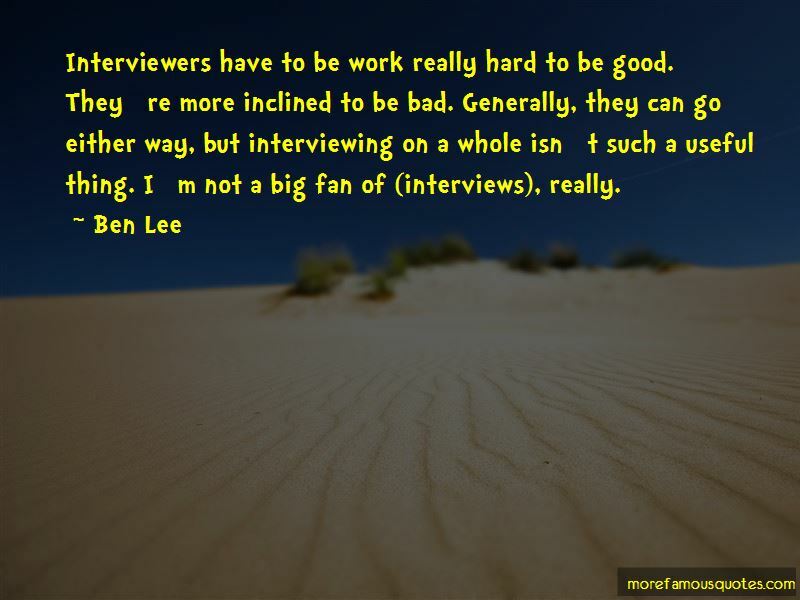 Generally, they can go either way, but interviewing on a whole isnÂ¹t such a useful thing. IÂ¹m not a big fan of (interviews), really. In the silence, hear what can't be heard. I literally make music for my wife and my friends. I don't feel beholden to my fans. I don't even really know who they are. But, I know that this whole thing started with me making stuff that I got off on, and I've gotta believe that that's how it's going to end, too. That's the only way it can go. There are a lot of artists who have gotten pretty caught up in that. That's why I like the defeatist attitude. Just assume that no one is going to like it and that no one cares, and you'll end up making something that you really like. If I feel really authentically in my body, then everything seems to click. But, sometimes I can only get into that, if the atmosphere is already conducive to that with the sound and all that stuff. There are moments where, as a performer, you're on stage and you feel like you're exactly where you're meant to be in the universe. It's a rare and beautiful thing when it happens. 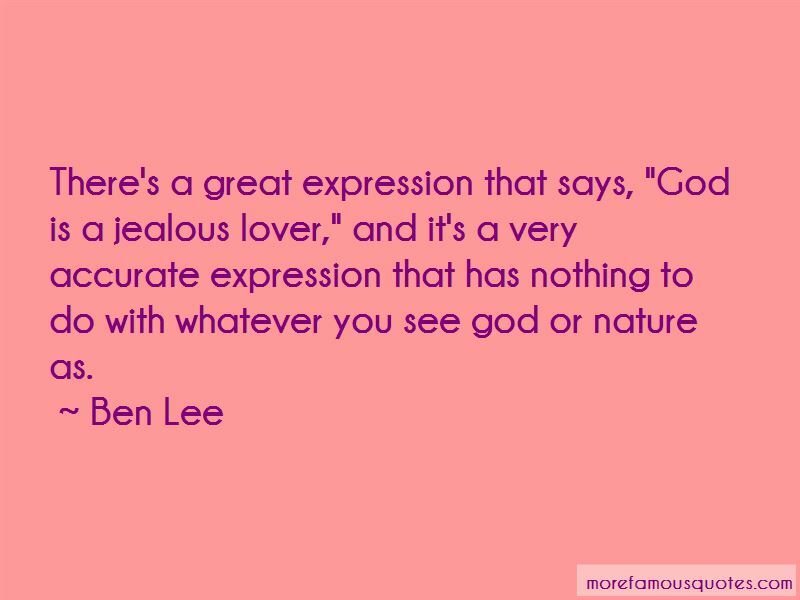 Want to see more pictures of Ben Lee quotes? 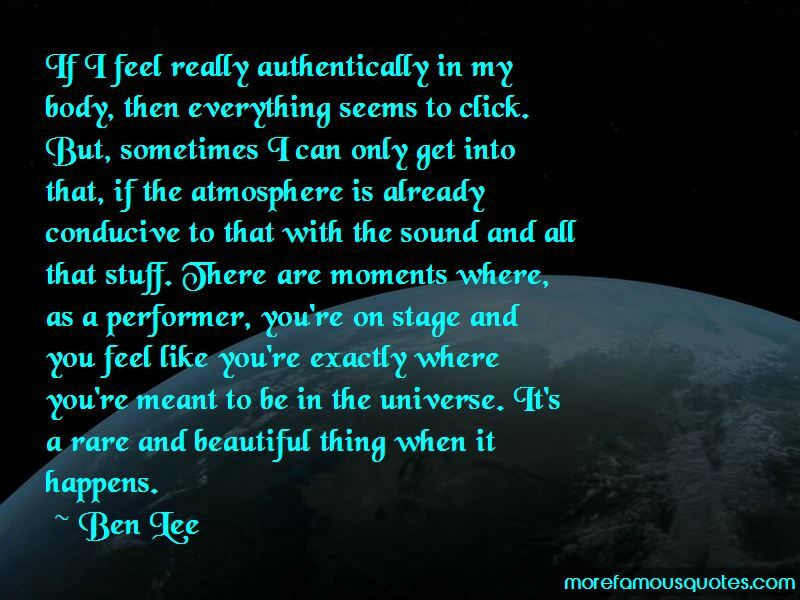 Click on image of Ben Lee quotes to view full size.